The lively scene at this year’s Bloomingburg Community Day included a lot of action at the bright red mailbox housing the Little Free Library sponsored by Altrusa International of Washington C.H. At times, entire families had children there sorting through books, thanks to coordinator Jeannie Bihl’s roaming the grounds with a tote bag and handing out “free samples.” Miami Trace cheerleaders were just across the sidewalk painting faces, which also brought many children to that area of the town hall grounds. 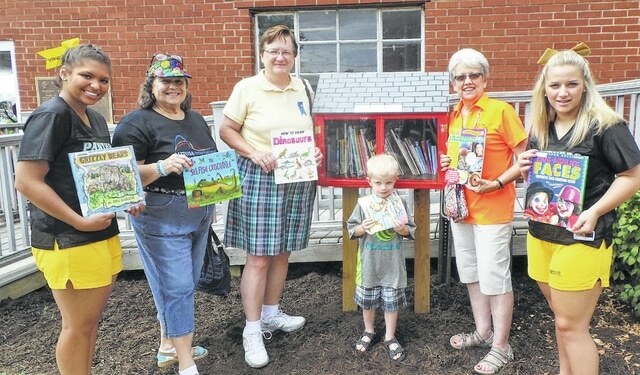 Shown are (from left) MT cheerleader Madison Perry, Altrusans Alice Craig and Lauran Perrill, Garrett Bihl, Altrusa’s Literacy Committee member & Little Free Library coordinator Jeannie Bihl, and MT cheerleader Abbie Ellison. 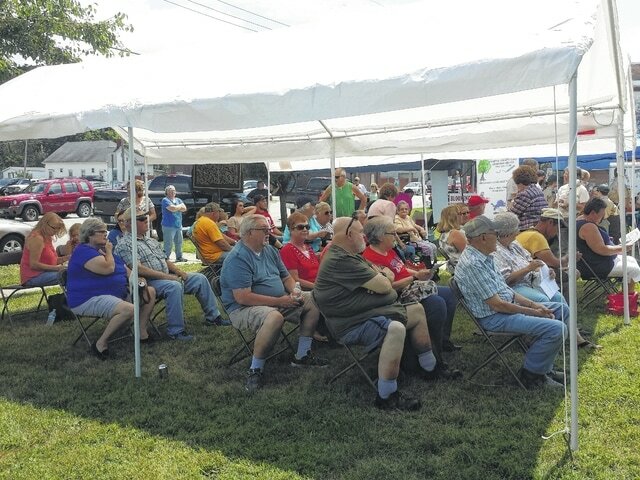 The village held a dedication ceremony for its new veterans memorial on the Bloomingburg Town Hall Lawn with residents attending. 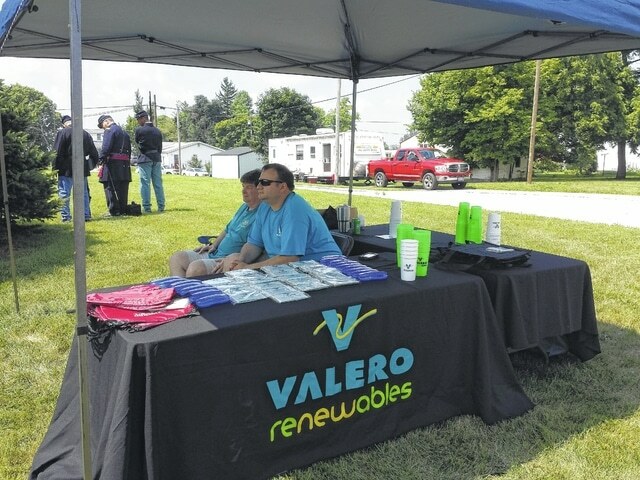 Valero was on hand to talk with residents of Bloomingburg who came to the fourth-annual Community Day. 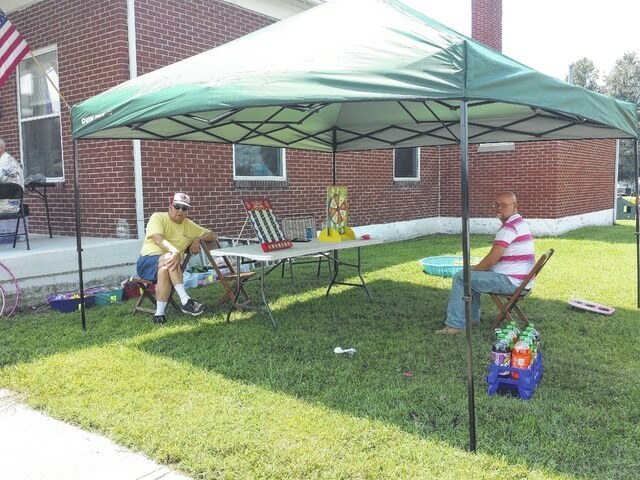 Games, prizes and more entertained the community during this celebration of the village. 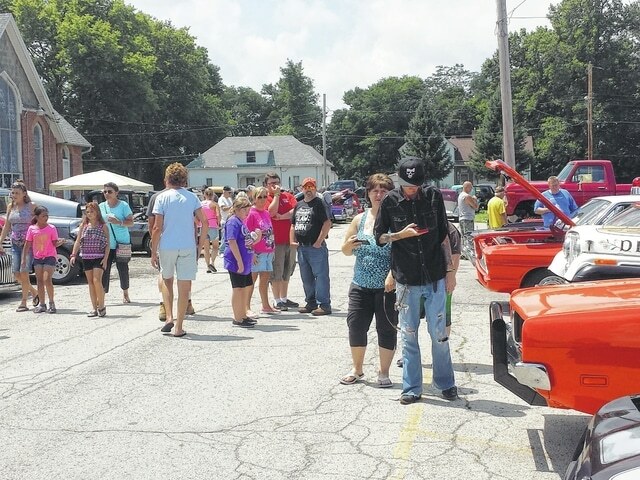 A car show was held with prizes being awarded for the different classes of vehicles. 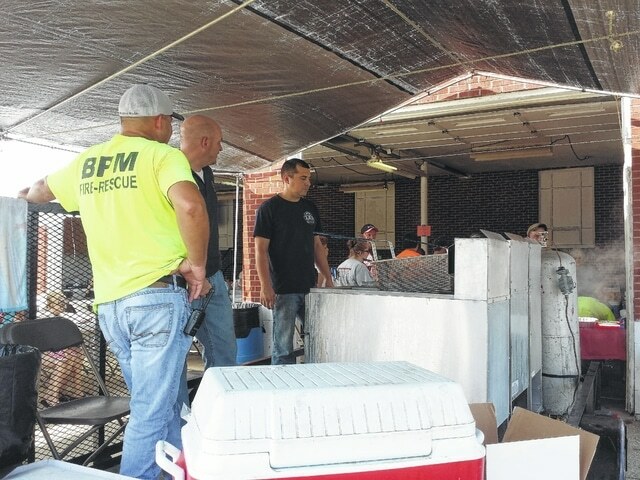 BPM Fire District also held its annual fish fry during the Bloomingburg Community Day to serve residents a hot meal and raise funds for the district.